Dr. Pugh received his Bachelor of Science degree from Samford University in 1990. While at Samford he was a leader in several organizations including the Tri-Beta Honor Society, Sigma Chi Fraternity, and served as President of the Student Government Association. In 1994 Dr. Pugh graduated with honors and received his Doctor of Dental Medicine degree from the UAB School of Dentistry. He continued his leadership role there by serving as President of the Honors Council. 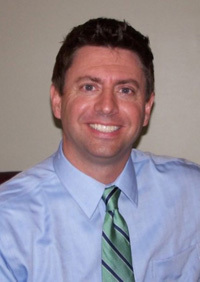 Dr. Pugh has a focus on cosmetic dentistry and pursues extensive training every year on the latest advances available. Dr. Pugh is a musician, and enjoys writing songs and playing both the guitar and piano. Dr. Pugh brings this artistic approach to cosmetic dentistry. His creative nature allows him to first invision a patient's smile, then use his hands to create a beautiful result. Dr. Pugh's joy in Dentistry comes from surpassing a patient's expectations and providing the result he as an artist knew was possible. Dr. Pugh is an active member of the Academy of Cosmetic Dentistry and the Academy of General Dentistry and the American Dental Assiciation. He serves on the Samford University Advisory Board for the School of Arts and Sciences. When not creating new smiles, Dr. Pugh's other passion is salt water fishing. He loves to spend time on the water with his with his wife Kimberly and their two sons. Lynn has lived in Madison County for 48 years and graduated from Madison County High School. She is married with two sons. Lynn has been employed with the practice as office manager for 36 years. Lynn cherishes the relationship and trust that the patients have in her. Each day she looks forward to greeting our patients, many that she has known for years. In several families Lynn has had the opportunity to know three generations of patients. Lynn enjoys gardening, exercising, and spending time with her family. 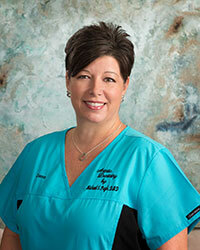 Pam is from the Huntsville area and has been practicing dental hygiene since 1991. 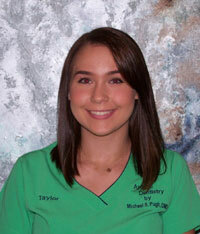 She received her dental Hygiene license from the University of Alabama in Birmingham. 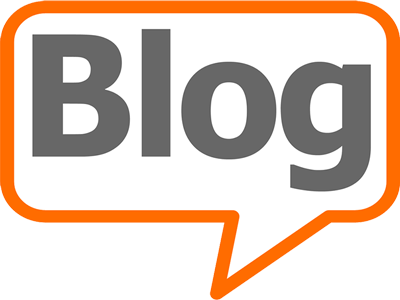 Over the years with our practice Pam has formed a special bond with many of her patients. Pam enjoys spending time with her husband Thomas and son Lance. She also enjoys watching her son play baseball and volunteering at school functions. She is very involved in working with children at church. Amy is from Arab and has been working in accounts receivable for 21 years. She graduated from Faulkner University in 2002 with a Bachelor Business Administration and in 2006 became a Certified Professional Coder. She has three wonderful children: Zachary, Parker and Allie Claire. 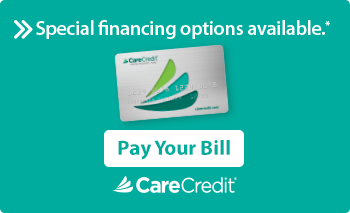 Amy enjoys educating our patients about treatment financing to realize the smile of their dreams. Amy spends time watching her children play sports, member of the Madison Chapter of the AAPC, attends Open Door Fellowship Church and is an avid couponer! 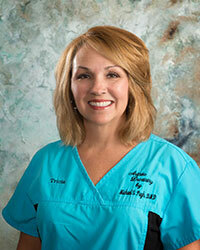 Dena grew up in the Rosalie area of Sand Mountain, and started her career in the dental field as an assistant in 1992. 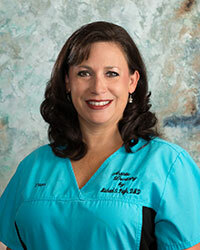 She received her dental hygiene license from UAB in 1995. She has been a team member here at Dr. Pugh's office since May 2009 where she enjoys working from both sides of the chair. She enjoys assisting Dr. Pugh with the creative side of dentistry, as well as, educating her Hygiene patients in preventative care. Dena married Chuck Lawler in 2003 and they live in New Market where they attend Locust Grove Baptist Church. They have two children, Garren Annsley and Nathaniel Clifton. They are avid Alabama Football fans and love spending family time together and watching kids grow up too fast. 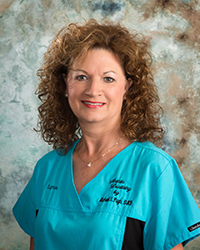 She received her dental hygiene license in 1996 from University of Alabama in Birmingham and joined Dr. Pugh's dental team in 2014. For Tricia it is all about relationships! 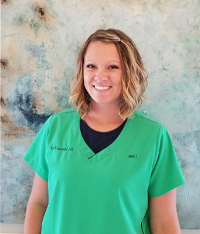 Her passion for dentistry is driven by her love of people and the opportunity dentistry gives her to build relationships that make a difference in patient’s lives. She is married to Craig Farmer and they have three amazing children, Garrett, Hayden and Mallory. They attend First Church of the Nazarene. Tricia enjoys spending time with her family, singing, raising chickens and watching her children in their sports and activities. Lisa has been a chair side doctor’s assistant and Hygienist in our practice since 2015. She received her dental hygiene degree in 2008 from UAB. Lisa enjoys transforming patients with significant dental needs into those with healthy attractive smiles. Lisa, her husband Kenny, and son Brayden enjoy spending time together and watching their daughter Bailie play softball. Lauren is a young, enthusiastic dental assistant. Lauren tries her best to make every patient feel comfortable and surrounded by trust in any given situation. 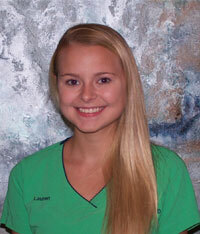 What Lauren loves most about dentistry is giving someone the confidence to smile. In her spare time she enjoys spending time with family, shopping and traveling. Taylor is the newest member of our team. 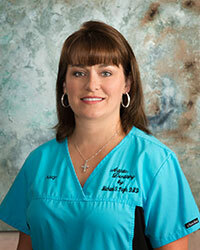 She works in many areas of our office from sterilization, dental assisting to greeting patients. Her favorite part of dentistry is seeing the results that cosmetic dentistry can do for the patients. In her spare time she enjoys being with family and friends.